The Bosch VB140F Fleece Filter Bag works with Bosch’s 14-Gallon dust extractors to effectively capture dust and debris. These bags can help users move toward OSHA silica regulation compliance and increase their productivity. They are designed for use with Bosch’s 14-gallon VAC-series dust extractors, the VAC140AH, the VAC140A and the VAC140S. 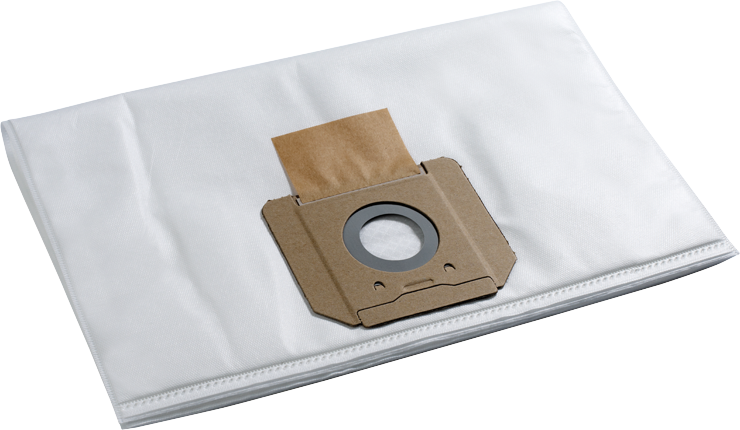 This filter bag acts as a preliminary filter, capturing most of the debris and dust to increase the life of the main filter. The port cover securely closes opening of the filter bag and keeps the dust and debris inside during the disposal process. The VB140F is for dry use only and will be damaged by wet-vacuuming; Bosch offers the VB140S Wet Filter Bag for wet-vac applications.